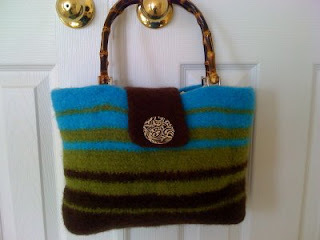 Onward to the wooden handled bags! 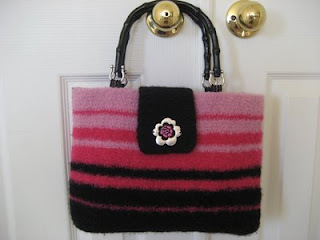 The first one is the Hilda bag. I am currently recreating this one since there has been such a positive response to it. I finished this one and shipped it out before I decided to line the bags. 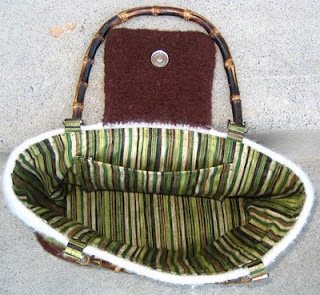 It has 2 integrated interior pockets and I sewed the handles on. As I stated earlier, my mom loved it! This next one is the first one that I lined. I learned a lot and am actually really pleased with the outcome. I named it Erin in honor of my good friend who is my crocheting buddy. 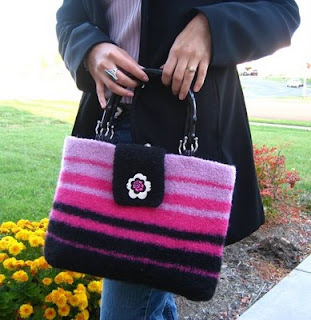 I worked on this purse at her house while she worked on a blanket for her soon-to-be born little girl. I've told her before, but it bears repeating- I am soooooooooo happy that Erin crochets with me!!! Here's a picture of the lining. How perfect is it?!? 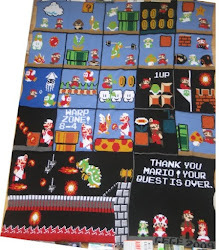 I had been searching for what seems like FOR.EVER for the right lining and totally lucked out at Joanns with this one. The colors are fantastic. 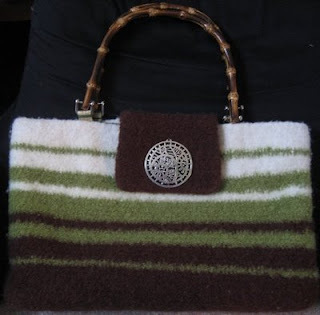 This one is the Netski bag. 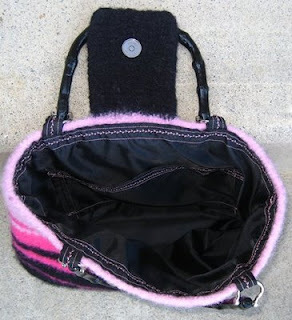 It's named after my sister since she loves pink and black. 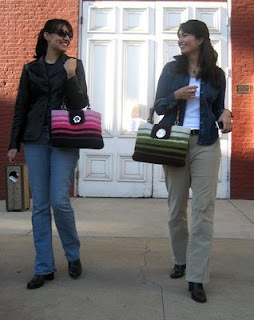 Actually, she really wants this purse, but momma's gotta pay rent....and I do too. So, off it goes to Etsy! 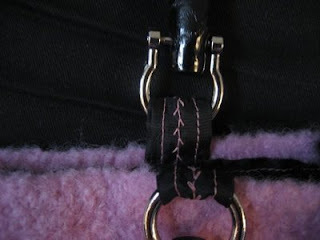 Here is the lining and a detail of the handles. I'm so proud of it!!! Lots of blood, sweat, and tears (and, maybe just a little cursing and yelling...) went into this little baby. 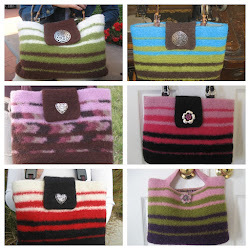 Yep- I did that with my sewing machine. And another one! Too fast for you! Well, that is my collection thus far. I hope y'all have enjoyed them as much as I have enjoyed making them! I'll update this site as I finish more and more of these little babies. Until next time, Zoobaroos! 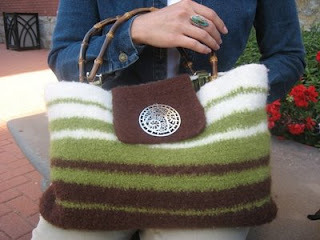 You're starting out great, good blog and nice purses, love the lining! Keep up the good work! 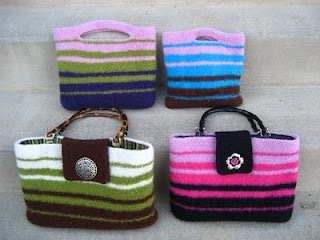 Cute felted purse! I've got to try making one of those for myself. 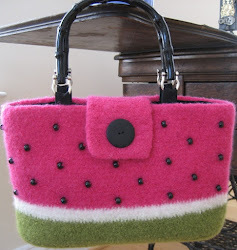 I need a new handbag and this has inspired me. Pomquat is open for business!